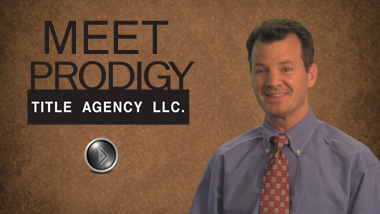 Welcome to Prodigy Title Agency. We are a family-owned title agency that prides itself on providing you with an experienced staff to take care of your title insurance needs. Let Prodigy Title Agency complete the chain of excellent service your company portrays. We ensure exceptional service, superior quality, accommodation and earned confidence. "If you need reliable & trustworthy title services, Prodigy Title will deliver. They are my primary title company for all my real estate needs. All the staff at Prodigy is helpful, courteous & professional and will do everything they can to meet your closing time within reason. Nick Perrino has put together an efficient team! I highly recommend their services!"